Do Bankruptcy Exemptions Help To Reduce Bankruptcy Risk? Bankruptcy exemptions are able to reduce your bankruptcy risk. Exemptions are the laws that ensure that certain assets of a debtor are protected after they file bankruptcy in order to ensure that they get an adequate “fresh start.” They vary from state to state. What does “home exempt up to X dollars” mean? The exemptions are also meant to ensure that solvent debtors with assets aren’t just running away from their financial obligations. So these laws are written so that they only protect up to a certain amount. If your home is exempt up to $20,000, then the bankruptcy court will force you to sell it if your home equity is greater than $20,000. Equity is your ownership in your property. For example, let’s say that your home is appraised at $200,000. You owe a first mortgage of $100,000 and a second mortgage of $50,000. Your home equity is the difference between the value of the home and what you owe to any creditors who have a voluntary lien on your property. What would happen if my state’s homestead exemption is $15,000 and my home equity is $100,000? You would either be forced to file a Chapter 13 bankruptcy (where you pay back the debt with your disposable income for up to 5 years) or you would be forced to sell your home. You would be entitled to $15,000 (your homestead exemption) and you creditors would receive the rest of the proceeds from the sale. Do I have bankruptcy risk if my home equity is barely more than the homestead exemption? Since there are costs associated with selling it and you would get the majority of the sales’ proceeds due to your homestead exemption entitlement, it’s unlikely that the court would order the sale. Married couples filing together may double all the following exemptions. These values are adjusted every three years on April 1st to reflect the current Consumer Price Index. Which bankruptcy exemption system is better? What states have the best bankruptcy exemption systems? -Texas, Florida, South Dakota, Iowa, Oklahoma, and Arkansas are considered highly favorable states for debtors. What are the federal non-bankruptcy exemptions? These are protections that help you to minimize your bankruptcy risk available even if and only if you file under your state’s exemptions. -Military deposits in savings accounts while on permanent duty outside U.S.
As you can see there are many bankruptcy exemptions that can get quite complicated. 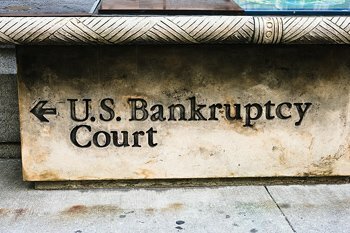 It is recommended that if you are seriously considering bankruptcy you speak with a reputable bankruptcy attorney in your area to discuss your situation. If you are not fully ready to file bankruptcy, you can contact us and see if we can help you with a proven alternative that can save you thousands on your unsecured debts while helping you become debt free.